On a sharp, cold night in March 2017, fire-crackers punctuated the Rostov-on-Don sky. Over in the east of the city, where the axial lines of the grid-system are disrupted by some gentle curves, there was a commotion. Car drivers banged on their horns. Locals peered out of windows to check on the noise. A group of people, dressed in blue and yellow, were shouting, with their smartphones held aloft, as a bus pulled up towards the Olimp-2 Stadium. For the first time in history, Manchester United, one of the world’s biggest football teams, had come to Russia’s southern metropolis. 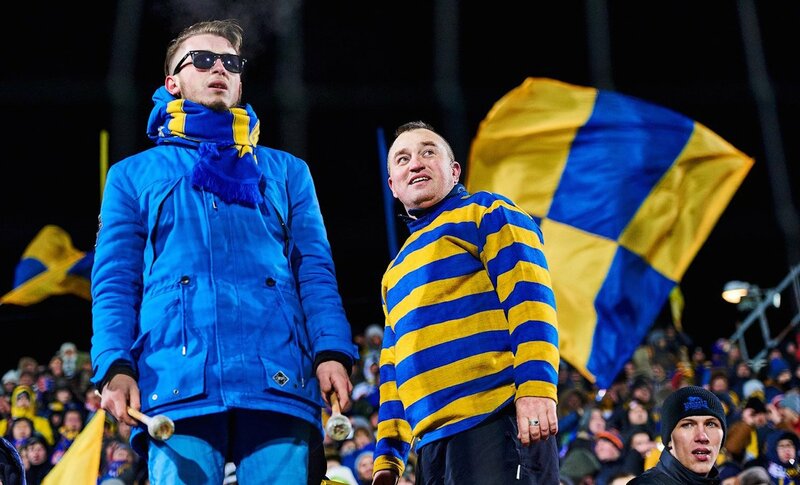 The match was Rostov’s penultimate European game in an unprecedented season-long dalliance across the continent. They started in the Champions League, Europe’s elite tournament, knocking out Anderlecht and Ajax before being drawn against three of the continent’s most storied clubs, Bayern Munich, Atlético Madrid and PSV Eindhoven. 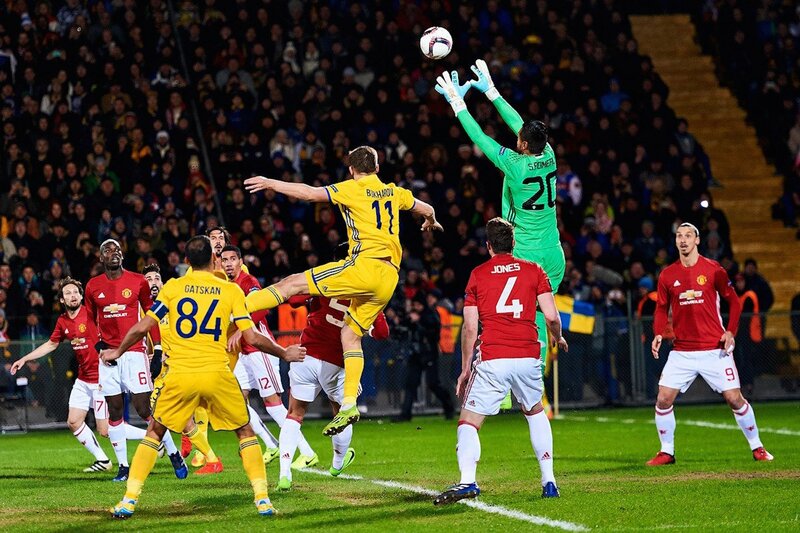 Across six difficult matches, Rostov earned enough points to finish third in the four-team group and permit a transfer to the Europa League, European football’s second competition. A win over two legs against Sparta Prague propelled the club forward to a famous meeting with Manchester United. A 1-1 draw in Rostov followed, before defeat in Manchester and eventual elimination from the tournament. During the season in Europe, excitement grew around the city, an antidote to local problems. Like many cities in the post-Soviet space, Rostov’s transition from socialism to Russia’s peculiar brand of capitalism was not painless. Factories closed down, manufacturing jobs moved elsewhere and local people struggled for work. Further south, the investment funnelled into Sochi and Krasnodar left many Rostovchanye feeling neglected. Even as things improved and a burgeoning artistic and craft beer culture embedded itself, Rostov developed an embattled sense of self. Today, Rostov have reverted back to their monotonous existence at the lower end of Russia’s Premier League, the thud of mediocrity dampened by the memories of 2016 and 2017. A new stadium, opened in time for the 2018 World Cup, offers some promise for the future, but the team is struggling. Much of the squad that competed in the Champions League and Europa League has departed. Just a few remain on, battling away with players of a lower quality, hoping for a landmark win against domestic big boys Zenit St Petersburg, or one of the Moscow sides. The realities of Manchester and Munich are fading, but the memories remain, sustaining fans for another generation; over the next few decades, they’ll be reanimated as stories for children and grandchildren.